Where Deliverance is Only the Beginning! Jesus paid a price for all of us to be saved. We are a small congregation, but there’s always room for you! MISSION: Our mission at The House of Deliverance (HOD) is to first reach out to those who are lost or in search of answers and restore them back to God, then to meet the needs of the whole man -mind, body, and soul– by teaching and living the Word of God and promoting the Standards of Holiness in the spirit of LOVE! INVITATION: We invite everyone to fellowship with us especially those who are seeking a more active relationship with God and a deeper revelation of His Word. MINISTRY: We are a Five-Fold Ministry and we are dedicated to and passionate about holy living and we pattern our lives according to the Word of God. OPERATION: We operate solely under the Anointing and Unction of the Holy Ghost and we believe that there is always something more you can receive from God, and HOD is where you can obtain it. 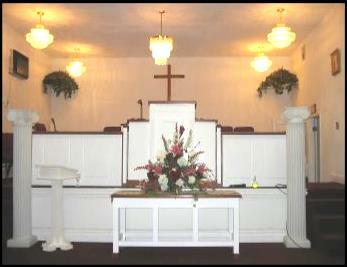 House of Deliverance Church, Inc.